Today, we have rounded up the best Bluetooth speaker deals that are live on Paytm Mall. the product in the list down below are from brands like Sony, boAt and more. 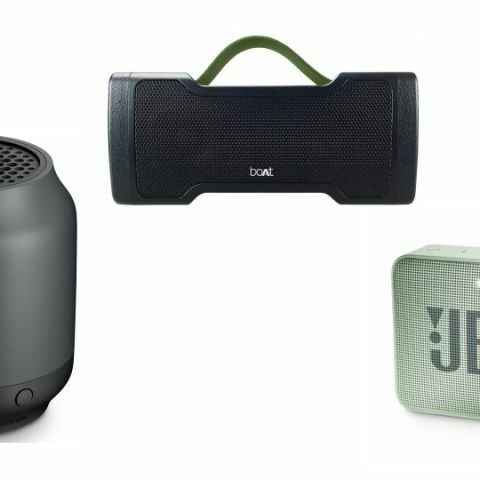 If you’re looking for a portable speaker that you can carry anywhere easily and listen to your favorite tracks even when you are outdoors, then we’ve got you covered. Today, we have listed down some of the best deals that Paytm Mall has on portable speakers. The platform is offering great cashback on a variety of speakers. Without further ado, let’s begin. The Sony SRS-XB10 is a wireless splashproof portable speaker that comes with av one-touch NFC Bluetooth function. It has a built-in mic as well that allows you to pick calls when the phone is connected to the speaker. As per the company, users can stream music on the device for up to 16 hours. View deal here. The boAT Stone 1000 is a waterproof and shockproof Bluetooth speaker that features an IPX5 rating. The device packs a 3000mAH battery, which as per the company can provide up to ten hours of music playback. View deal here. The Tagg Loop Portable Speaker is Bluetooth 4.0 enabled and is also equipped with a 3.5mm audio jack for streaming music via an AUX cable. As per the company, it can provide up to 18 hours of music playback in one go. View deal here. The JBL 2 Go Bluetooth Speaker comes with an IPX7 rating that provides up to five hours of wireless music streaming in one go. The speaker has a built-in noise-cancelling speakerphone as well that lets you pick up calls without worrying about ambient noise. View deal here. The Philips BT50B is a compact Bluetooth Speaker, which features an anti-clipping function that allows you to play music loud and distortion free even when the battery is low. As per the company, it has a battery life of up to six hours. View deal here.